I am sure that most of you folks here are quite familiar with Destiny, but for those of you who aren't, then you may want to listen up. 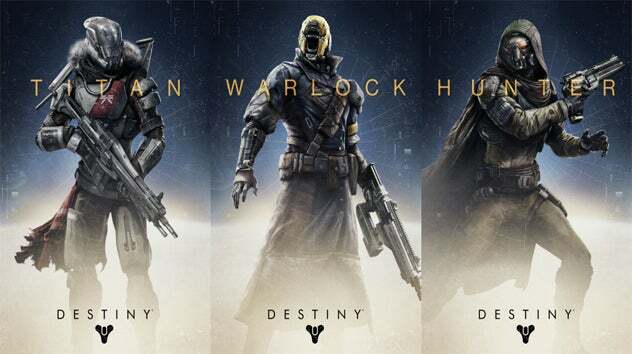 Destiny is a popular FPS-MMORPG hybrid that was released back in September of 2014. It has since gathered a huge following because of how addicting and challenging the game presents itself to be. Players want to have the best equipment and weapons possible, but the only way to do that is to invest a ton of time into the game, so you can see why the game has gotten this far. Although Destiny has received a handful of content updates, the games still inevitably seems to feel worn out, I mean after all the gameplay does get repetitive. With that said, Activision announced today that Destiny would be receiving another "large" content update later this year, which will be followed up by a full fledged sequel which has been slated to come out sometime in 2017. Details about both of these big announcements are scarce, in fact, we don't know anything about either of them, except that the expansion due later this year is large. One could only assume that means that the expansion will be more like the Taken King expansion, and less like its counterparts. More information is expected to be released as time ticks on by. What do you think? Are you excited for this new Destiny content? Leave your thoughts below!